There are dozens of different colours that you can use in order to paint your home. You need to think long and hard about the overall colour scheme you want and whether this is going to fit with the furniture and the fittings. Here at Barker-Whittle, we can paint the interior of your house in any kind of colours that you want. You might not be aware of the different psychological effects that different colours can have on you. These psychological effects will influence how different colours will be used in different rooms. What are the different psychological effects of different colours and which rooms should you use these colours in? 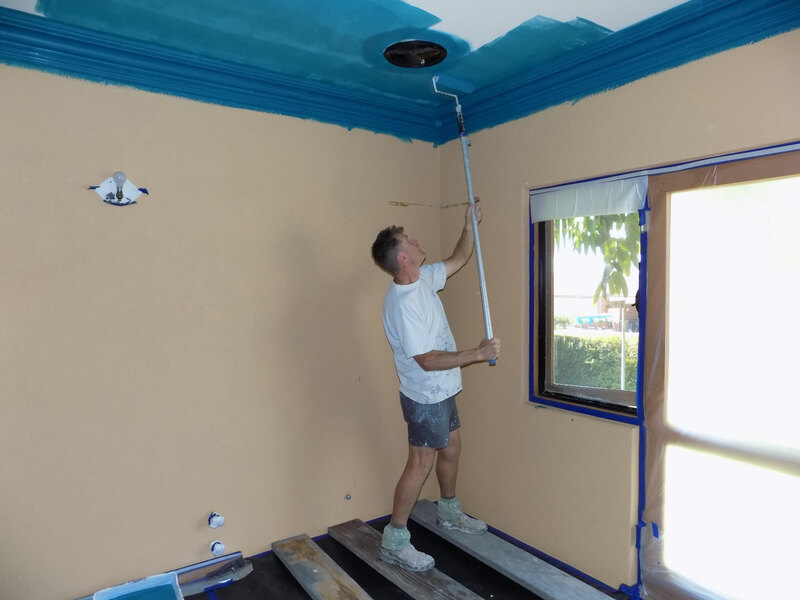 Blue is one of the most common colours for painting the interior of a house. This can be used in every room and it is extremely versatile. You might choose to have the toilet walls painted eggshell blue and you might want a slightly darker tone on the walls of the living room. It is important that you contrast the shades of blue in different rooms because otherwise, the house can look slightly monotonous. Blue is one of the best colours that you can have in your house because it has a very calming effect and it will make people feel extremely positive when they have had a very hard day at work or at school. You can also paint a baby’s room with a soothing shade of blue. This can help them to relax when they are having teething problems and they might not cry so much. Parents will then be able to get a good night’s sleep and they will feel totally relaxed in the morning. Purple is a very stylish choice for a second living room or an office. Purple has connotations of royalty and will make you feel extremely comfortable. This is especially useful when the weather is terrible outside and you want to stay indoors for the entire evening. Staying in a room like this will make you feel happy when the rain is pouring and the wind is blowing. Orange is another colour that you should consider for your house, even if you think that this is a slightly garish choice. You should choose a soft orange for the dining room because studies have shown that the orange colour stimulates feelings of hunger and thoughts about food. Have you ever wondered why the McDonald’s arches are golden? This was done for the reason that it makes people think about how empty their stomachs are. You can use this effect in the dining room so that your entire family will eat everything on their plates without leaving anything to waste. Red is the colour of passion and romance, so you need to make sure that the bedroom is painted in a tasteful shade of red. When you want to have the interior of the house painted, you should contact Barker-Whittle.